The Shelter just celebrated its 13th Rezday on August 20th 2017. In 2004, a group of friends, fireeyes fauna, Shadow pigeon, and Wacoede unplugged had a vision to bring people together and help new members get a good start on Second Life. Today it continues to help people as well as provide a safe haven for anyone who is looking to socialize, play games and just be in good company without the worries of griefers or adult content that can be found saturating the grid. The Second Life Enquirer took a tour of this long standing Second Life staple of the community and was impressed by the fun activities, warm welcome and outstanding guest service. I met Hikaru Hitachiin (valgaav); one of the many game show hosts and volunteer at The Shelter after he finished hosting the game show Second Fortune; a spinoff of Wheel of Fortune. I stumbled upon this brilliant game by accident while exploring and sat in to observe contestants as they took turns picking consonants and buying vowels to solved the puzzles. If you are game show junkie or wished you were a contestant testing your skills, winning lindens and bragging rights amongst your peers. You have to check this out. Do you remember when game shows were the thing before reality TV muted it into the background of pop culture? Game shows like The Price is Right, Jeopardy and The Wheel of Fortune where among the most popular shows of the 80’s. 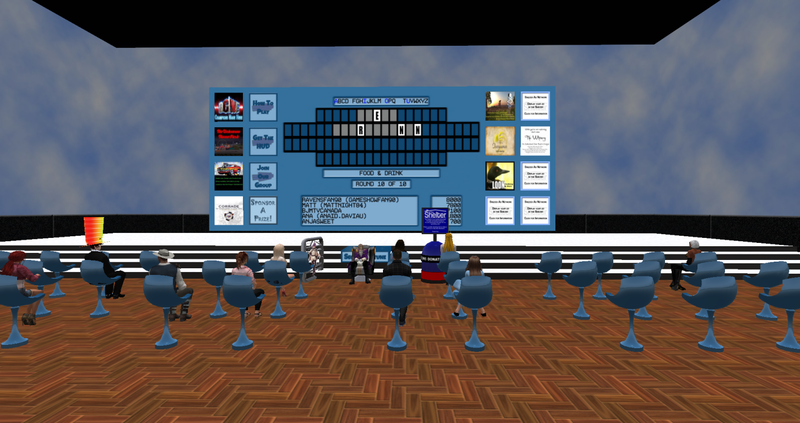 In Second Life, we can experience being a contestant of SL’s version of Wheel of Fortune; SECOND FORTUNE created by Fireeyes fauna. 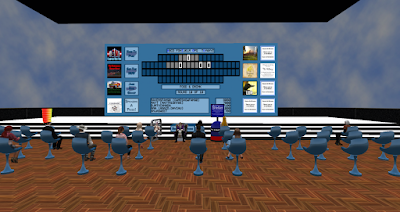 He also created other game shows as well, like Payment Podium which is based off of “Who wants to be a Millionaire”, the 2nd largest paying game show in Second Life. Second Fortune, being the top paying game show offering up a prize pot of 1,000L$! Sponsors can be part of the games how action by donating lindens or prizes. All you would need to do is contact a host. The fun doesn’t end there! Aside from the game show you can be a sponsor or participate in other events such as live DJ's who are at The Shelter throughout certain days all week. They vary in style and tastes. 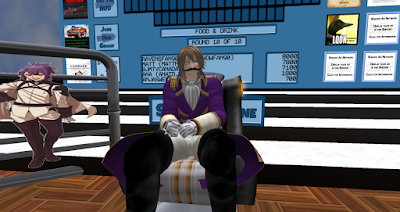 People can dance talk and relax in a safe environment, away from the adult side of SL. They try to keep it pg rated here. Also, there are costume events on Saturday and Sunday, which is the big formal theme, The costume dance on Saturdays, is hosted by silverfox rainbow. Newbies under 60 days don't need to be in theme to win, but they can dress up if they wish. Pay pot is 1200L$ 300L for male & female best winner, runner up is 200L a pop and newbie is 200L. On Sunday from 4-6 pm The Shelter offer voice gatherings where they let people talk on mic for a little while. It gives them and also newbies the chance to break out of their shell. 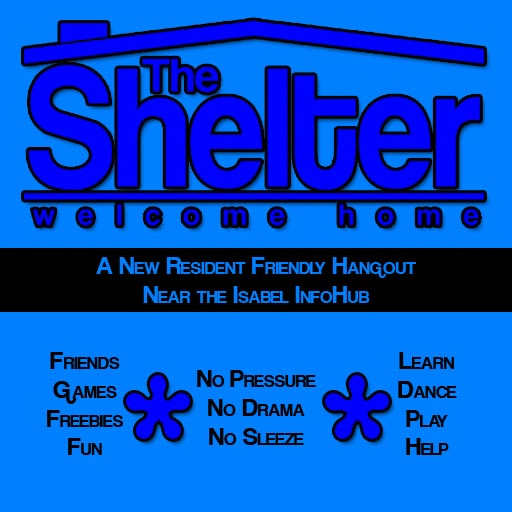 Guest can join The Shelter group to learn about events and participate in game shows and other activities such as the forums where they allow newbies to say hello. 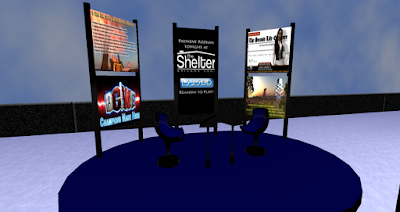 Members also post about things to sell in SL, and so forth. 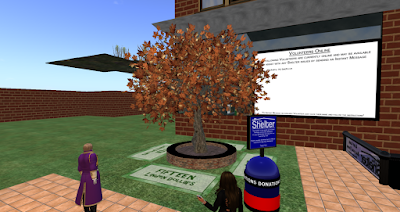 One of the things I found very cool and took me back down memory lane is The Linden Money Tree. It is regulated by the forums. If you register, and are under 60 days, you may collect from the tree until you mature past that point. The requirement is newbies must register and confirm email before withdrawing from the tree. It is one of the only places where this tree exists. As I was taken on the tour Hikaru proudly let me know that the many staff and volunteers keep The Shelter safe from trolls and griefers before they cause trouble for guests. The outreach of The Shelter is to help, educate and also entertain in a safe place. The Shelter is run strictly on donations. Right outside the dance club area, there are tiles on the ground that can be inscribed with messages for a fee, Ad boards that can be purchased as well as shop space rentals. All proceeds go to helping keep The Shelter up and running. The Shelter is a wonderful place. It’s like a breath of fresh air from the adult places around. 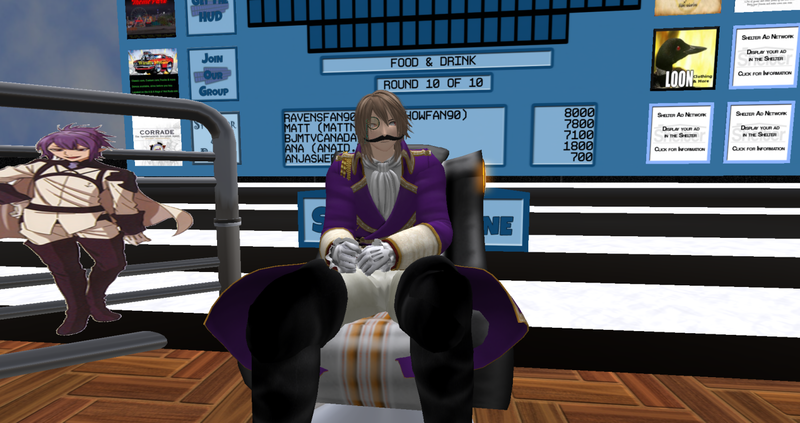 They keep rules in touch with the terms of service of Second Life. In that respect, they don't allow underage people, if they are found out. The proper procedure is handled and SL is contacted. The Shelter has two other great places to visit, one being the open air space upstairs on the roof or the lost lakes balloon tour. I have to say, the tour with Hikaru was very informative. I was impressed with all of the fun things to do. I recommend putting The Shelter on your itinerary. You won’t be disappointed.